Looking for affordable iPod Touch 5 repairs Melbourne CBD? Come see us today down at Fixspot for the lowest prices and fastest repairs in all of Melbourne. Most of our one part repairs are completed in just 30 minutes or less. We strive to produce top quality repairs with each repair, and the standard of our repairs reflects that. We are so confident in the high quality of our repairs, that we offer a 3 month warranty for all repairs. Click the book now button to book your iPod Touch 5 repair with us at Fixspot Melbourne. Alternatively, please contact us or visit us in store to find out more about our iPod Touch 5 repairs Melbourne CBD services. 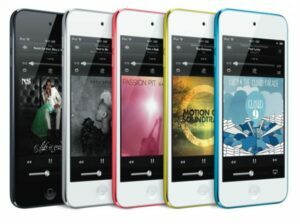 If you need further information on our iPod Touch 5 repairs Melbourne CBD services, please don't hesitate to contact us.